Freelance Rate Tips: How to Find the Rate That Fits Your Quality? How much is your time worth? Determining a freelance rate can be the most difficult decision freelancers need to make. Unfortunately, many go at it the wrong way. You need be paid fair and square for the service you provide to a client. There’s no need to work dirt cheap when you don’t have to. It’s time to step back and find out if you are being paid what you’re really worth or not and what your freelance rate should be. There are two ways you can price your client. Hourly or based on a project. Let’s find out which one is better for a full-time freelancer. Most new freelancers start with an hourly rate. When a new client approaches them, they typically quote their last hourly rate. This is a wrong way of setting your freelance rate as no two clients are the same. 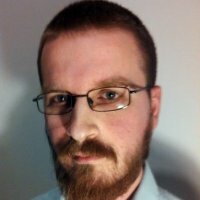 Paul is a new freelancer on Upwork. Since he doesn’t have much experience writing articles, copy and web content, he sets his hourly rate at $10/h. He then bids for a few projects, lands some and completes them to his clients’ satisfaction. So far so good. Paul is no longer a rookie and figures he shouldn’t be paid as such. So he starts raising his freelance rate. First to $20/h, then $30/h, all the way to $60/h. He earns a reputation as a fast and reliable writer and clients are very happy to work with him. But then Paul starts noticing something. His own speed is actually becoming his undoing. One client came to him with a $60/h rate. Paul accepted it and finished the project in 4 hours, earning a total of $240, but he knew he could’ve got much more from this client. Paul is working with high-end clients now and is still compensated per hour. Now he is being underpaid for his hard work. Paul stopped billing hourly for his work and started billing per project. Soon, a new client approached Paul. This time, our freelancer billed him differently. He looked at the client’s business, saw it was an established business that needed his solution and billed him accordingly. 500 Dollars. The client accepted and Paul set to work on this project. After 4 hours, he was finally ready to send his work to the client, who was happy with it and paid Paul his $500. Paul earned double using a project-based pricing than he would have if he used hourly pricing. From now on, he decided to only charge per project. However, even project-based pricing is not foolproof and there are two major mistakes you should aim to avoid when setting your freelance rate. The first one of these is matching your freelance rate to the market price. Don’t set your rate off of what someone else charges. Instead, set your own individual rate, based on the client’s budget. Ask the client what is his budget for this project (or an estimated budget) and then quote your rate accordingly. The second mistake is estimating the amount of time you will spend on the project. That’s the hourly pricing guy way of thinking, and is not the way if you want to charge per project. Clients don’t care if you finish the project in 20 minutes, 2 hours or 20 hours. They just want the project to be completed. The end result is all they really care about. Whether you deliver in an hour or 24 hours, it’s all the same to them. What you really need to look at is the client’s budget and how your work fits into it. Find out what relation your work has with the client’s budget. For instance, let’s say you get an offer from a big client to redesign the content on their website, including a new home page, about us page, landing page, product descriptions and everything else. A total of 30 pages. You then start doing the math. The Home Page and the Landing Page are both 500 words, so you set them at $20 each, or $40 combined. About Us Page is 200 words, so that’s another $10 and each product description should be 1,000 words. That’s another $40*27=$1,080. That’s a total of $1,130. But, if you know that the client’s budget for the project is $10,000 than your $1,130 is barely a tenth of it. With that knowledge you can set your freelance rate much higher and the client will still be happy to pay for it. Don’t think that you have to charge one client the same as the next one. Every client is different, has different needs and different budgets. Understanding what these are will help you greatly when quoting your rate. You need to be aware of your own expenses and how much it costs you to work, though. Therefore, it stands to reason not to set your freelance rate lower than this. Make sure you can cover this and then some. In the end, however, remember that clients only care about solutions. Understanding this is almost all you need to determine your rate. Don’t be afraid to aim high with your freelance rate. If it’s is too high for one client, that’s no big loss, most will not say no outright, so there is always room to negotiate. Still prefer an hourly rate? Check this handy freelance hourly rate calculators by Motiv and Your Rate. Finally if you’re still not sure if you should start freelancing, a Payoneer survey from 2015 found that an average freelance rate is $21 per hour, meaning that if a freelancer works 36 hours per week, he can earn over $39,000, pre-tax. That’s more than what those working full-time, 9-5 jobs earn in average in many of the countries (180) covered by this survey. Do you have any questions or comments regarding this post? How do you decide your freelance rate? Sound of below and don’t forget to like and share this post. Get to know your client: I knew the budget and I charged a flat rate fee for my latest client. You can make more money later for the same client if you offer more services. I offered revisions. They want a New and Improved version, at a later date. I gave a quote at an additional cost, also flat rate, which they accepted. In this particular case, I was also able to negotiate an agreement for sharing royalties when the information is made available for sale. Always thought hourly rates were better because it helped me to give out what I’m being paid for, but thanks to your post I’ve had to rethink it. The only issue now is actually calculating whether the one-time project fee is high enough in the beginning. Charge per word – that’s how I do after tried all those methods. What an awesome post. Clearly you have put so much effort and time to this blog and you can definitely see that! Quite true. One should charge appropriately and not know tow to clients while setting rates. Nice read..
informative article for those who have no idea how to fix freelance rate. Thanks for sharing. Thanks Vladimir for an extremely useful post. I wish to freelance one day. It would be very helpful. Very informational and a good comparison for what should be charged. Quick question – I do book reviews, I am currently charging on the basis of the timelines (how soon the review is needed) and how many pages does the book have. Is it a right approach? I actually never did a book review, so I’m not sure if my answer will be of any help or not, but to me, your approach sounds good. I don’t think a typical hourly rate would work well here since there’s little way to show the client what you’ve been spending time on. You’re welcome Tahnee, glad it was helpful.